How Should I measure Social Media Activity? Today I was asked this question. I felt like asking, how do you measure land? Where is the context? Are you measuring you back yard? An estate? A farm? A country? How are you going to make the results meaningful? By that I mean what are you tying the results back to? The tools you use directly depend on the answers you give to the above. 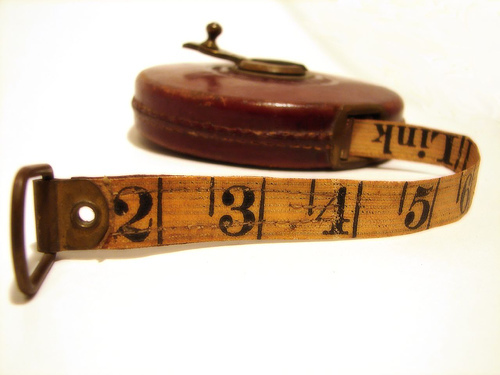 Here is a great list of measurement tools. Don’t feel you need a paid for search tool if your activity and budget do not warrant it. Similarly, if you need to measure multiple elements, are after some deeper analysis, or your time is scarce, then it is counter productive to skimp on the price of a paid measurement tool. I enjoyed this article because in today’s world of fast growing social media there seems to be a tool for everything and more and more being developed. A lot of them are the same and some not as useful as others but I think as you mention it is important to find what is useful for you by determining, budget and overall goals of the measurement. There is something out there for everyone if they are a social media guru or a novice we can all find the perfect fit. Thank you for posting that list of measurement tools. Besides Hootsuite, Meltwater Buzz, and a few others I haven’t heard about many of those. How important is preparation for accurate measurement? Are there any other important factors when preparing for a Social Media campaign?